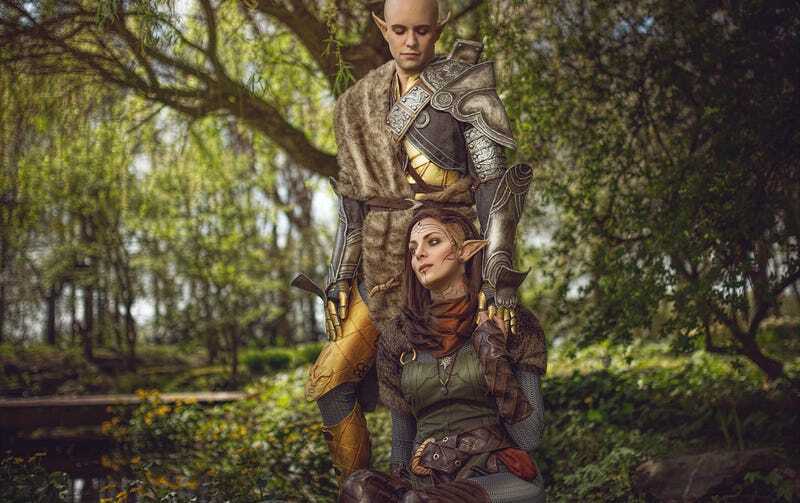 This is Yume, a cosplayer from Germany, getting into the Dragon Age spirit (ie, romancing) with her boyfriend. Both costumes were made by Yume, who has been cosplaying for over a decade now. Photos by the always-excellent eosAndy.